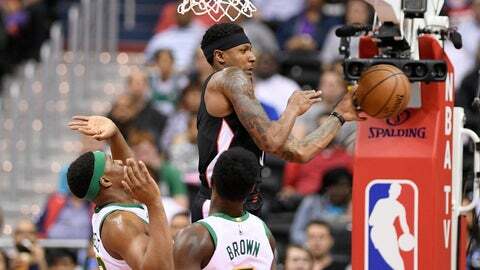 WASHINGTON (AP) — Bradley Beal’s Washington Wizards were irrelevant long ago this season. He still had some personal business to take care of. So there was no reason for Boston to care about Tuesday — or use its best players. Kyrie Irving, Jayson Tatum, Gordon Hayward, Al Horford, Marcus Smart, Aron Baynes and Marcus Morris sat out, a group that includes six of the top seven Celtics in scoring and assists, along with the club’s six leading rebounders. Celtics: Rozier scored 21 points. … Signed G Jonathan Gibson. He played four games for Boston last season. Wizards: Tomas Satoransky scored 19 points. … Signed Gs Jordan McRae and Tarik Phillip.